I’ve just returned from a fantastic CMF National Conference at Swanwick on the theme 'heroes of faith'. One of the talks by Pablo Martinez focussed on the three friends of Daniel the prophet who were thrown into a fiery furnace by the King of Babylon for refusing to bow down to a statue he had made. Three chapters later Daniel himself was cast into a lions’ den for persisting in public prayer to Yahweh after it had been made illegal. Prayer can be a dangerous pursuit but has been featuring again in the media this week. I’m grateful to Douglas Noble for drawing my attention to the recent Huffington Post article on the ‘Serenity Prayer’. 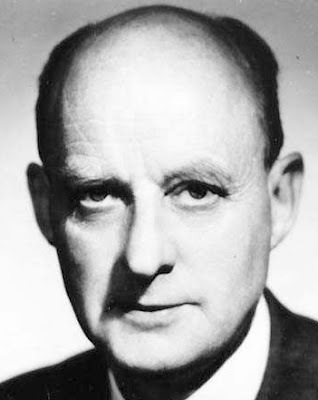 Adopted by Alcoholics Anonymous as their theme back in the 1950s it was originally written a decade earlier by an American pastor called Reinhold Niebuhr (above). What I did not appreciate, however, is that freedom from substance abuse was not the prayer's original intent. The Serenity Prayer was originally prayed at the height of the war against Germany in the summer of 1943 at a morning service at Union Church in Heath, Massachusetts where Niebhur was a seasonal pastor. That I may be reasonably happy in this life and supremely happy with Him Forever in the next. Also in the news this week is David Drew, a Christian doctor, who was sacked in 2010 after emailing a prayer to colleagues at Walsall Manor Hospital, Walsall. He has just lost his claim for unfair dismissal after a tribunal judge ruled that there was no place for religious references at work. 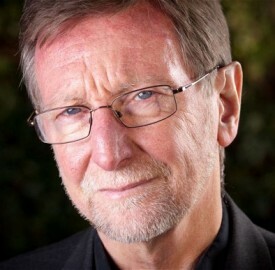 Dr David Drew, 64, told an employment tribunal that he was made to feel like a ‘religious maniac’ after sending out the prayer by St Ignatius Loyola, founder of the Jesuits, to motivate his department. To serve you as you deserve. To give and not count the cost. To fight and not heed the wounds. To toil and not to seek for rest. Except that of knowing that we do Your Will. So that’s two good prayers. And the bad one? Well that’s the new politically correct prayer of the Gloucestershire County Council, which has had all references to God removed after just three councillors objected. ‘May we find the wisdom to carry out our duties, the humanity to listen to all, the courage to do what is right and the generosity to treat each other with respect. Amen’. Well the sentiments are OK I guess, but a prayer that is directed to no one is not a prayer at all. As for me, I’ll use Niebuhr’s prayer with more vigour now I know its context and ending, pray Ignatius of Loyola’s prayer with more devotion and encourage those who work in the NHS to do likewise, and skip altogether the empty platitudes of Gloucester Council. "Lord give us the power to exclude you from our lives". Ridiculous. You missed Tim Tebow's short but fantastic prayer: "Lord, win or lose, give me the strength to honour you". Teach us Good Lord is used at the Cenotaph on Rememberance Sunday and very well known so hardly a personal comment in an email. It's a good dedication to service. Somewhat ironical as it was written by the founder of the Jesuits and Jesuits were executed as traitors in Elizabethan England, yet that prayer is used on what is possibly our most patriotic day. I am quietly amused. 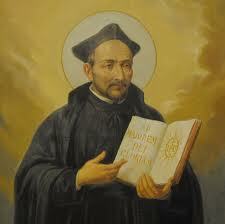 There is another prayer by him "Take O Lord and receive" which is a prayer of self-dedication. I'm sure it's online somewhere. I enjoy your thoughtful posts. Will pray the first two peayers now with new understanding.